Home / PrestaShop modules / Verkeer & Marketplaces / URL & Omleidingen / 404 Optimizer. Control the 404 error with the better way. You can create a standard 301/302 redirect or personalize it. You can see a log of all the 404 errors of your prestashop and fix it in a seconds. 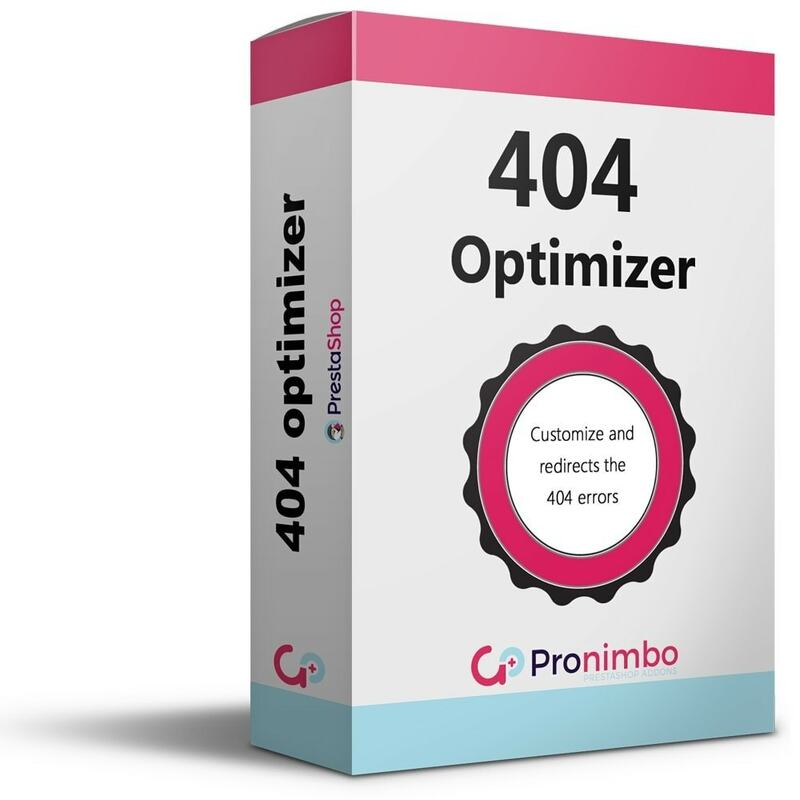 You can convert 404 errors in a personalized 202 response. Avoid, control and customize 404 errors and improve your user experience prestashop. You can customize the error with 301 or 302 redirects to pages that you want. 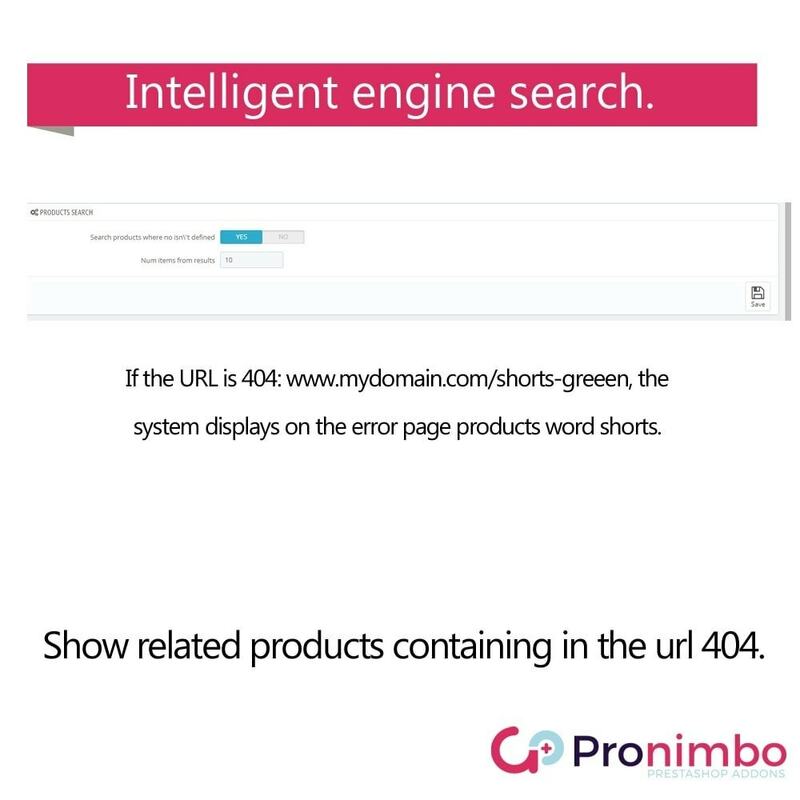 Use the smart search engine that analyzes the url with 404 and look for products that are in the url failed. Customize the 404 error page. 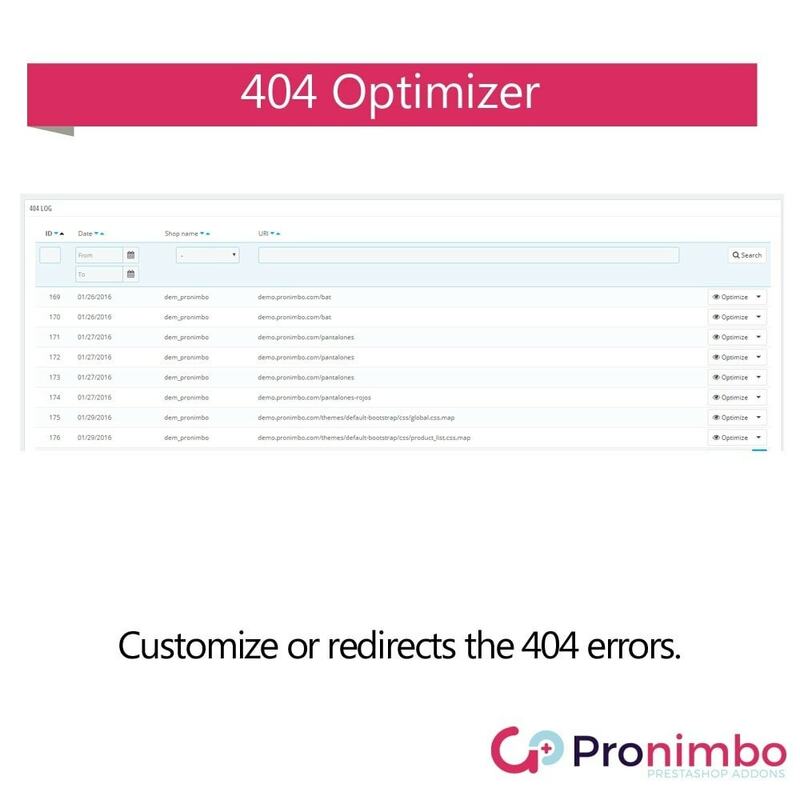 404 eliminates errors of your prestashop. Control of all prestashop url with 404. Super fast, light-weight module for adding schema.org structured data markup in recommended JSON-LD format automatically to sites. Decreases 404 pages easily and increase your ranking in search engines.